Our hostel is located only 10 minutes walk to downtown, 10 minutes to the bus station and 10 minutes to town beach. Near is the City Galleria with cinema, pizzerias, shops, banks and market. The archipelago counts 24 bigger and about 300 smaller islets and rocks, 3 nature parks - Telašćica, Sjeverni Velebit and Vransko jezero and 5 national parks - Paklenica, Plitvice lakes, Kornati Islands, Krka and Velebit classifying Zadar and its surroundings at the very top of the Croatian tourist offer. 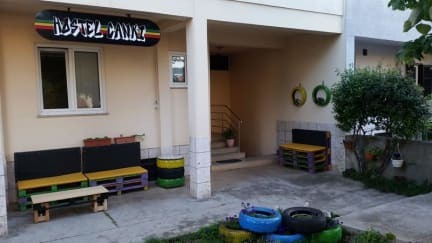 Hostel Canki is offering private and shared rooms - from Double/Twin to Dormitories. The rooms are air conditioned with comfortable beds. Luggage storage is available. Actually it's an apartment turned into an "hostel". Cleaning is the bare minimum. There isn't the hairdryer!! The really good thing is the stuff: they were awesome, really welcoming and kind! For the price you paid It's a good stop, just to sleep and go.